Justify: The Belmont has been Bob Baffert’s least-participated and least-won of his 14 career Triple Crown race victories. But he’s earned the white carnations twice with Point Given (2001) and Triple Crown winner American Pharoah (2015). Unbeaten in 6 tries, it’s a curious notable that Justify’s margin of victory has shrank in each start, dwindling all the way to a half-length in the Preakness. 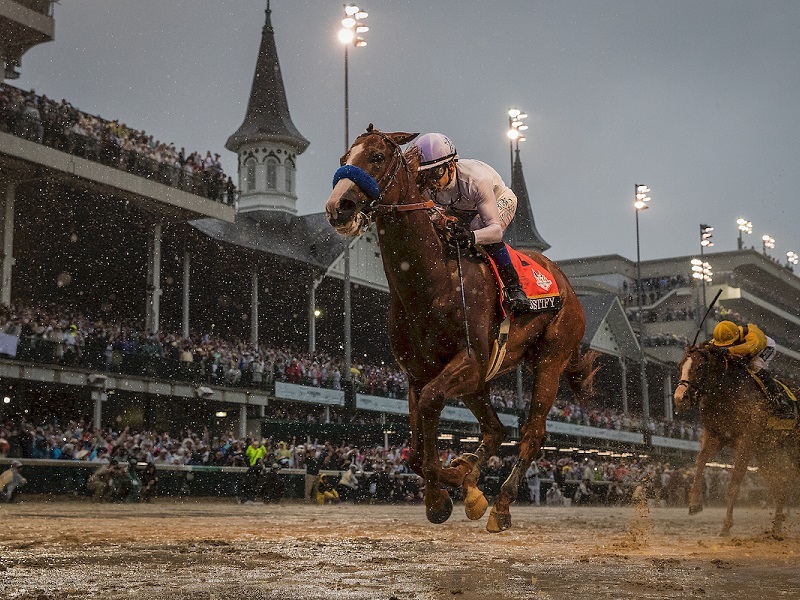 His Kentucky Derby was historically slow on the clock (2:04.20) and his Preakness a record-slow 97 on the Beyer scale. But both came under excessively wet track conditions and perhaps are no reason to worry whatsoever. I am bullish the favorite has the ability to best this bunch. His high end appears simply better than these. But I am hesitant to concede the race to him with what seems to be a cavalry that’s closing in on him. Jockey Mike Smith has been a maestro at Belmont Park over the decades, so he will give him every chance to make history. Smith won this race with Drosselmeyer (2010) and Palace Malice (2013). 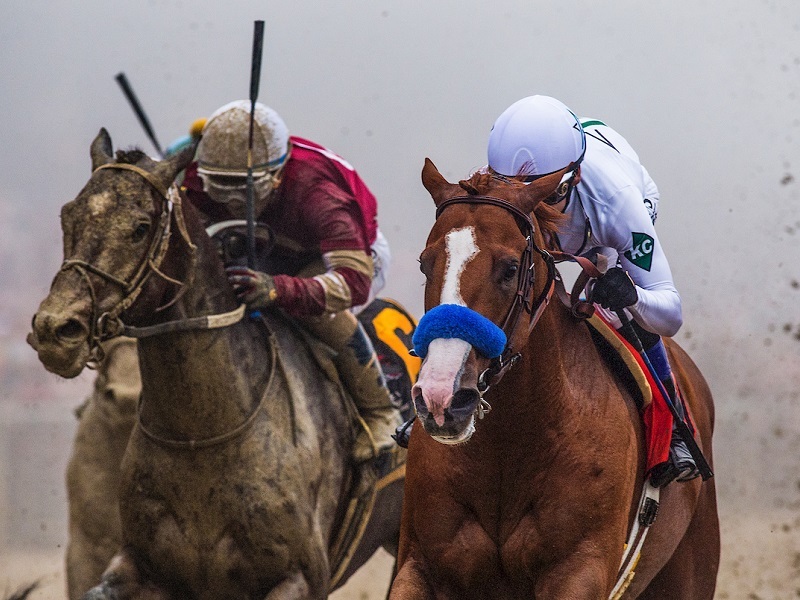 He’s clearly the horse to beat, but outside of American Pharoah, so, too were Big Brown, Smarty Jones and California Chrome, who looked as or more potent through two legs of the series. 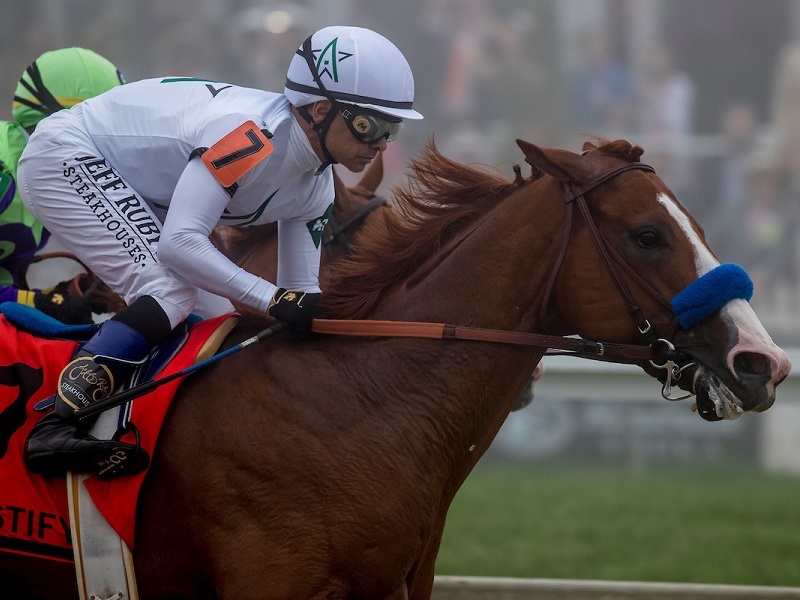 How Does Justify Compare to American Pharoah?